Chotu’s small hands working on the plates shivered hearing that voice. Knowing the outcome of that tone well enough, he immediately got up to bring the cups. He was a short, lean ten year old. His sky-blue shirt was worn near the edges and had layers of dirt all over which gave him a dull look. The khaki government-school shorts were darned, rather carelessly, at various locations, and were so flimsy that his legs were visible. “I've been observing you recently; you don't do your tasks well!” Ram Singh shouted again. “Sor..Sorry saab ji,” he replied with his lips trembling. Chotu has to work from 8 am in the morning to 10 pm in the night when the dhaba closes for the day. He lost his father at an early age of five, and his mother worked as a maid to feed them. When Chotu was nine, his mother’s health began to deteriorate, and he had to leave the primary school to look after his ailing mother. He then started working at Ram Singh’s dhaba to bring home 100 rupees a day. The clock struck ten, and it was time for the dhaba to close. Ram Singh, however cruel he might seem, was actually a saviour for Chotu’s family. He went mad at times but also helped Chotu with extra money whenever he was in need. “She is well saab ji.” He replied before heading away from the dhaba. He went straight to the medical store to purchase his mother's medicine. “Which medicine do you want?” asked the medical store owner. 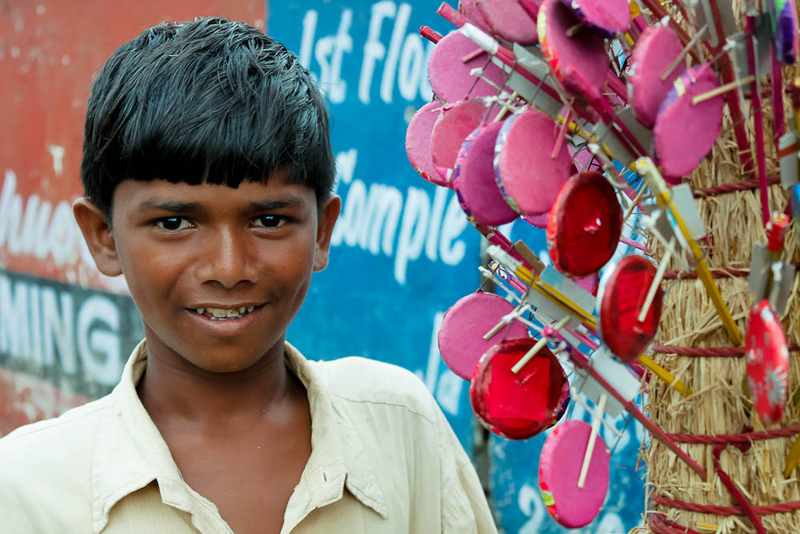 Chotu passed the hundred rupee note to the shopkeeper, and took the medicine and the change. He began walking on the kuccha road that led to his village. It was dark, and the road muddy. He almost slipped on two occasions. After a walk of two kilometres, he reached home. His home was unplastered and poorly lit with a dim incandescent bulb hanging over the front door. A team of social workers headed by Mr Aniket along with some policemen came to Ram Singh's dhaba. “How old are you son?” Mr Aniket asked Chotu. The reporters took a photo of Mr Aniket along with Ram Singh and Chotu. Ram Singh was fined heavily. “Social activist Aniket saved a child from the clutches of labour,” was the newspaper article's headline next day with a large picture of Mr Aniket. Few days passed and nobody made an effort to help Chotu's family. One day Chotu went to Mr Aniket's office. “Do you want me to call the guard?” shouted Mr Aniket. In the evening he went to Ram Singh's dhaba. He knew he may get a slap or two from Ram Singh but he had nowhere else to go. Chotu took the money and started walking away. The smile on his face put his dusty clothes to shame.